With the launch of the Ariana Silver Round in 2014, the Silverbug community of Reddit made its debut in the precious metals community with a stunning new product lineup. Since the release of the original Ariana design, the Silverbugs have inspired the creation of two further Silver Fairy Rounds and an exciting eight-round series of Silverbug Island rounds as well. The 5 oz Silver Proof Silverbug Ariana Round is available today on Silver.com as a new product. More and more often investors are turning to rounds, and unique designs such as this one, as a way to invest in silver as they are a great alternative to silver bars due to their low premiums over spot silver. Only 2,000 of these rounds were produced. All-new weight for the original Ariana design. Features the image of Ariana on the obverse. The scarab beetle returns on the reverse. The Silverbug community on Reddit is a group of silver enthusiasts that originally formed to share thoughts, information, and insight on silver products with one another. 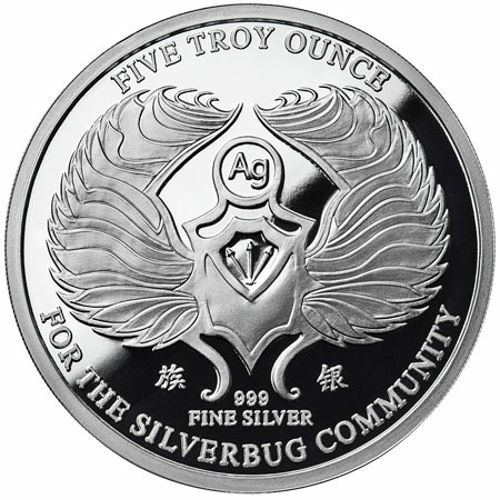 As the community’s size grew, the Silverbugs decided to commemorate the 5,000th member of their community with the release of a silver round. Ariana was the very first silver round from the Silverbugs, and the first of the Silver Fairy Series. The Ariana design set a standard that continues today with all Silverbug silver rounds, that of members of the community assisting in the design of each of the rounds representing the group. Today, a new 5 oz Silver Proof Silverbug Ariana Round is available to answer continued demand for the rounds and the Ariana design. When it was originally released, the Ariana Silver Round was only available as a 1 oz proof product. Subsequent releases of Silver Fairy rounds have featured at least an additional 1 oz antique proof and a 5 oz proof. The latest Alyx the Fairy round even features a 5 oz Reverse Proof Round. 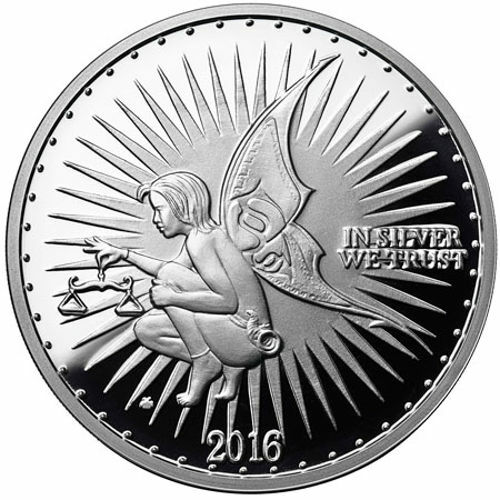 On the obverse of the 5 oz Silver Proof Silverbug Ariana Round is the image of Ariana, the original silver fairy. The reverse side of the coin includes the scarab beetle design that continues on the reverse of all Silver Fairy Rounds, along with engravings of the metal content, purity, and weight of the round. Osborne Coin Company now contributes to the production and design of Silverbug rounds, with original designs from the North American Mint earlier in the series. Osborne is the oldest private mint in the United States, tracing its roots back to 1836. If you have questions, we encourage you to reach out to Silver.com. Our customer service team members are available at 888-989-7223, online using our live chat, and via our email address.